If you still enjoy digging through your childhood boxes of Lego building blocks, there’s a group in St. John’s who wants you. If you still enjoy digging through your childhood boxes of Lego building blocks, there's a group in St. John's who wants you. NewfoundLUG (Lego Users' Group) is a local organization for adult Lego users, collectors and enthusiasts. The group meets monthly at Bricks and MiniFigs, a bulk Lego store in St. John's run by John Gillingham. "It's interesting to meet other members of the group and say, 'What are you into? Are you into the castle side, or Star Wars, or sci-fi?'" says Matthew Zwicker, vice-president and a founding member of NewfoundLUG. 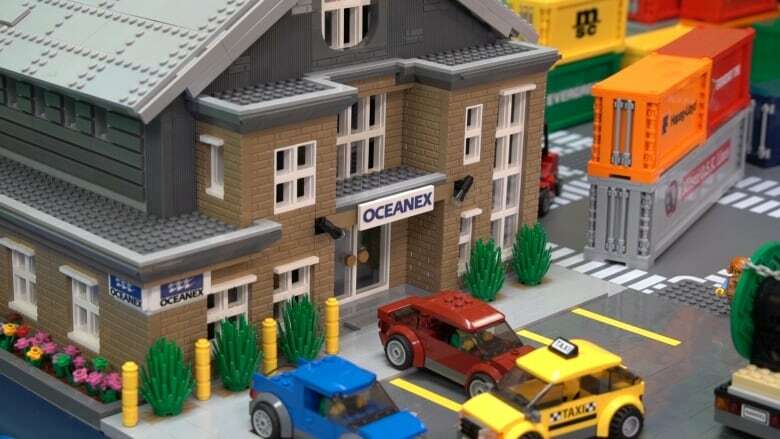 Group members use the store space to build and set up elaborate Lego models of everything from Star Wars spaceships to replicas of the Oceanex terminal in downtown St. John's. Zwicker is particularly interested in constructing elaborate castles. 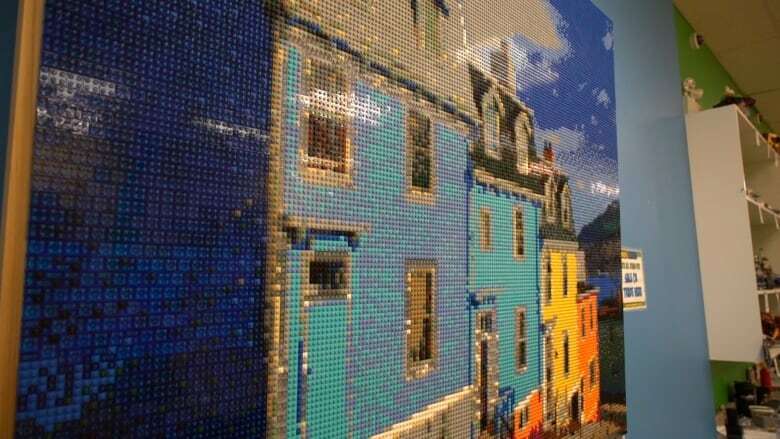 "I'm always in the pursuit of 'How can I make this the most realistic possible using Lego as a medium?'" "Really, the possibilities are endless." And what would you be at? What are you at? Do you have an interesting weekend project or hobby? Tell us what YOU are at. Email wam@cbc.ca or tweet @CBCWam. You can hear new segments in this series — What are you at? This is it — Saturdays on Weekend AM from 6 a.m. to 9:30 a.m. (5:30 a.m. to 9 a.m. in Labrador) on CBC Radio One. Meanwhile, click here to read about other people we've profiled in this series. You might also enjoy watching videos in the series on the CBC Newfoundland and Labrador YouTube channel.